Show off this collection in your home. Offering plenty of seating and an impromptu place to relax, this Ariel cream living room will transform your home space, into a guest room whenever loved ones visit for the weekend. The lovely cream microfiber velvet upholstery pairs perfectly with most home color palettes. Talk about fine lines and great curves. This Emirates chocolate Sofa and Loveseat will suit your appreciation for clean and a long-lasting style. Featuring deeply tufted upholstery, this piece is sure to bring vibrancy to your hosting events. 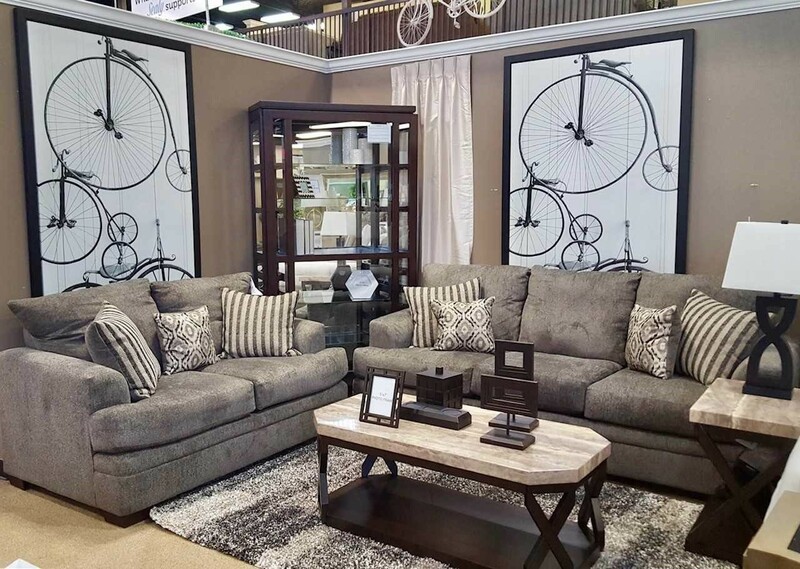 This living room set, sets the mood in your home with its wonderful shade finish and its printed pillows. An ultra-smooth spot for family, friends, and guests to gather, our Kate living room will quickly become a favorite destination for everyone. High resiliency cushions with comfort pillow will a provide deluxe support. Sophisticated yet romantic, the Sonney mocha set brings simple elegance to any complex décor situation. The armchair’s thick cushion invites comfort and easy relaxation for that morning latte and your favorite book. Sophisticated yet romantic, the Darcy salsa set brings simple elegance to any complex décor situation. The thick cushions invite comfort and easy relaxation for that morning latte and your favorite book. Whether your style is classic or contemporary, our Pegasus living room has a versatile frame that can complement any look! With rolled arms and smooth microfiber finish, this set keeps your home looking both cozy and chic. Enjoy your seating with your family and guest in this gorgeous piece. Built with solid wood frame, generously padded cushions and vintage faux leather, it will only get richer and more comfortable over time. Talk about fine lines and great curves. This Emirates grey living room set will suit your appreciation for clean and a long lasting style. Featuring deeply tufted upholstery, this piece is sure to bring vibrancy to your hosting events. Featuring a sophisticated transitional design, our Winston Ash creates a stylish, comfortable destination for lounging and entertaining in every living room. Coordinate your living room with this set for a soft seating throughout your house. Ultra cozy and comfortable, this versatile piece will have you craving nights in. It features a combination of grey and white, which adding a visual appeal in any home. Give overnight guests a resort worthy experience during their next visit with this essential Marina brown, featuring a clean-lined look to blend into any environment. Featuring a sturdy wood base and faux leather cushions in tightly woven microfiber upholstery, this understated set lends a bit of breezy appeal to your ensemble. This Titan Living Room Set displays the most highly skilled upholstery. Every shape, angle and curve has been scrutinized when it comes to styling details and incorporating a traditional style. Enjoy the floral designs that will bring out an uplifting and luxurious touch to your living room.